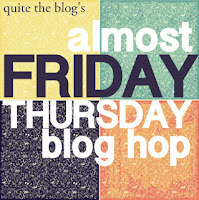 and now it's time for... "Almost Friday" Thursday Blog Hop! 4. and have fun! why? because it's almost Friday! *also, to make sure things are fair, blogs who do not "like" and/or follow the host and all the co-host will be removed. meet this week's simply awesome GUEST co-host!